Step in and blast off. 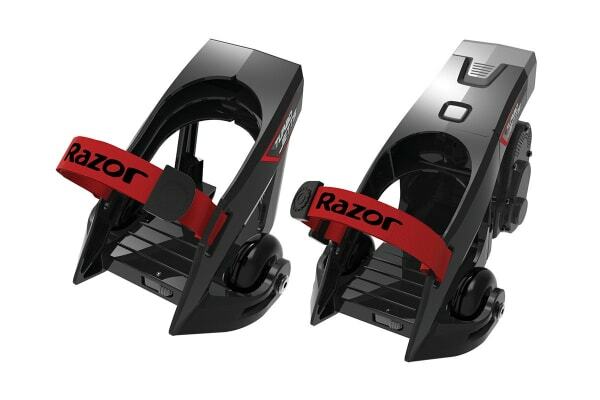 Hit new heights of fun with the all-new Razor Turbo Jetts electric, motorised heel wheels. 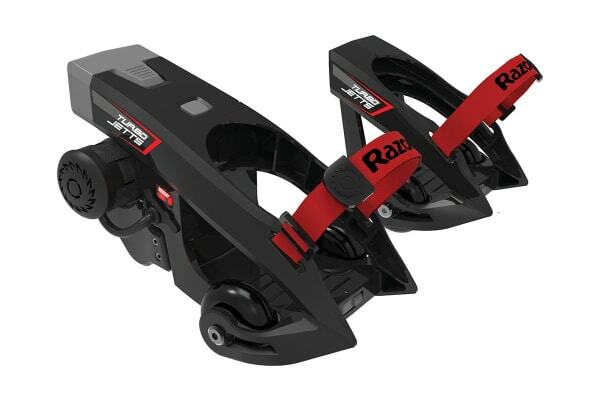 Strap into the Razor Turbo Jetts electric heel wheels and give your ordinary pair of sneakers an electric-powered boost. 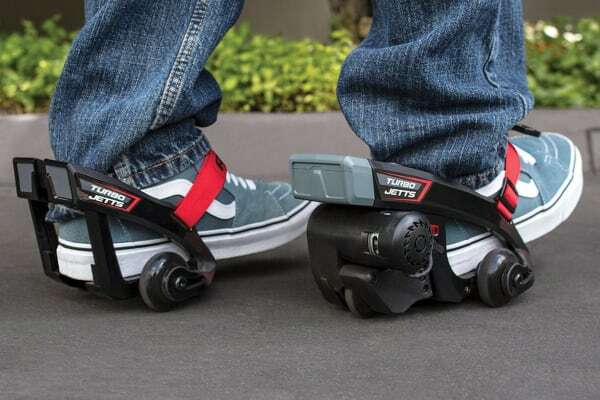 Simply start rolling and these electric-powered heel wheels amp-up the action with an 80-watt, geared motor to provide a one-of-a-kind boost to any pair of sneakers. Easily adjustable and always awesome. Just step into the quick click frame and tighten the hook-and-loop strap, then hang on as these hands-free, electric, motorised heel wheels take you to new heights of fun. With the Razor Turbo Jetts high powered electric motor you can charge ahead with awesome style!